100 hour yoga teacher training in Rishikesh is the best short term yoga teacher training programs offered by Hatha yoga school in India, which helps the students to learn different aspects of Yoga quickly. The students can learn yoga in an easy and systematic manner. Our yoga teacher training course in Rishikesh at Hatha Yoga School is based on Hatha Yoga. 100 hour yoga ttc in Rishikesh is mostly suitable course for the yoga beginners in India. The trainees can learn the basics of various yoga poses, techniques to execute those, and the science behind it. Being the best center for Yoga Teacher Training in Rishikesh India, our prime aim is to develop a strong fundamental of the trainees that can help them while pursuing other higher level professional courses. Students are taught at an absolutely enchanting environment that makes them feel encouraged to push their limits and learn things with greater enthusiasm. Specialty about our yoga ttc in Rishikesh is our resource of highly talented trainers who know how to build quality teachers. Our main motive is to prepare the beginners as the future yoga leaders. Post completion of the basic 100 hour courses, one can enroll in other training courses as well at our institute. Our beginners yoga classes in Rishikesh teach to have control of breathing and meditation techniques as well. Providing best yoga teacher training in Rishikesh India that can help the learner in having a good physical and mental health. Teaching the techniques and science of yoga that can make the best preparation for the student to be a successful yoga professional in future. Integration of moral values in the student. We teach about the techniques and practices in asana, mudra, bandhas, kriyas together with chanting, meditation, and more. We offer lectures on philosophies and science of Hatha Yoga, Karma Yoga (Bhagvad Gita), Kundalini & chakras, Nadis, and other aspects during the class. Being the best center of yoga exercises for beginners in Rishikesh, we aim at covering each aspect that has connection with human health. On this context, our trainers guide the students about healthy yoga life style to avoid the risk of various health issues such as diabetes, hypertension, digestive, prenatal yoga, and heart problems. This session includes practice of Asanas, pranayama, kriya, chanting of mantra, meditation and all other traditional yoga techniques. The students are taught about major principles of yoga. They are given personal assistance to correct their techniques. At the same time, the students learn about various teaching styles, needful qualities of a teacher, as well as the qualities needed to be a part of professional yoga institution. This session includes study of human physical anatomy and physiology. It means the students learn about the entire human bodily systems, organs, etc. At the same time, they learn about various chakras, nadis, etc, and their effects on body, which includes study of yoga benefits, healthy movement patterns, etc. The detailed study of yoga philosophies, current lifestyle and all the prime ethics for yoga teachers. Being known as a reputed house for beginner yoga classes in Rishikesh, we conduct such special sessions to help students in practice, receiving all the feedback, observing their approach, and leaving feedback to make them feel more confident and enthusiastic. Yoga for beginners in Rishikesh always demands special effort from the practitioners. On this context, we guide them thoroughly about various teaching methods and helping them through relevant videos. In addition, this session also includes special hours for group discussions, answering personal questions, and also providing relevant materials that can better prepare them as a future trainer. We follow a strict syllabus including relevant training modules that includes the following aspects as well, apart from teaching yoga poses for beginners. Training: Aspirants are taught about the yoga basics, poses, techniques, and their underneath science in the most intuitive that can help them through their professional career. Technique: Students are made understood about the relevance of various mantras, kriyas, pranayama and meditation, with clear elaboration of their meaning. Inner Understanding: Students are taught about the whole human physiology as a part of yoga classes for beginners. Teaching: As they are going to be the future teachers, the students are taught about different techniques, approaches, and methods of teaching that can turn them a better trainer. Anyone who has a keen interest in yoga, to make it his/her professional career or simply to learn the yoga exercises for beginners for a healthy life can pursue this at Hatha Yoga School in Rishikesh. It would be best if the person is good in English. The School and study programs conducted here are accredited to Yoga Alliance USA and International Yoga Association. The certificates provided by the school are authorized by Yoga Alliance USA. In fact, 100 hour yoga teacher training in Rishikesh is considered the best yoga for beginners in India . Only the Advance fee paid through PayPal is refundable. No money will be refunded if you cancel within 1-30 days after the commencement of the course. Well, you can get refund if you cancel the course prior 30 - 90 days. 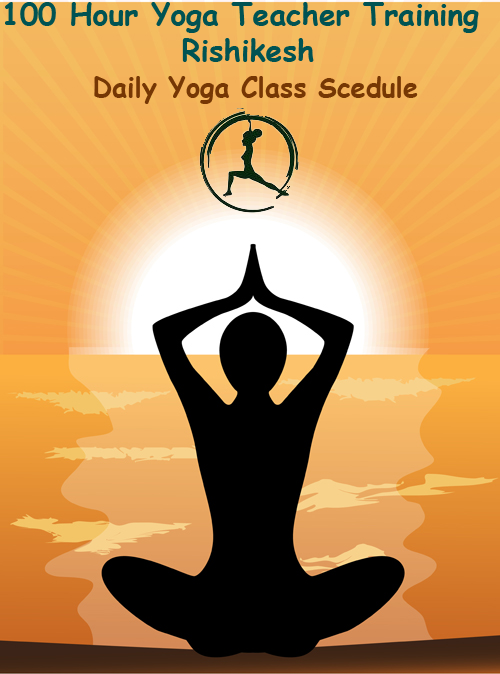 Examinations are conducted on each module of syllabus for this 100-hour program of yoga for starters. It is here to mention that this examination is compulsory to have the certificate. There will be open book exam in which you will be given 25 questions to answers.